Today’s Newburyport News reports that a two week long drug investigation has led to the arrest of two Amesbury, Massachusetts residents. Jesus Ruiz and Sandra Magrath were apparently present when officers raided their Whitehall Road home a couple of days ago. Both were charged with trafficking cocaine and a heroin related felony as well as conspiracy to violate the Massachusetts drug laws. None of the details of the investigation were disclosed however it has been reported that a related search of another home resulted in three more related drug arrests. The dearth of details here suggests the use of a confidential informant to provide information about how Magrath and Ruiz were operating. This post looks at the problems prosecutors often have winning cases where informants are used. In legal terms when we talk about the credibility of informants we are referring to their history with law enforcement. For instance, how many times did they provide information that led to valid arrests or convictions? From a non-legal perspective we look at how a jury might perceive them. Do they make a good appearance? Do they appear to be telling the truth? What are their motives for helping the police? In this case I imagine that the police were working with an informant who said that he was buying from Ruiz and Magrath. Perhaps a controlled buy was made using that informant. If that is the case, the informant is probably a user. Drug addicts make the worst witnesses and prosecutors know this. Getting them to show up to court is difficult. It is even more difficult to get them to appear in court sober and with a good memory of the events about which they are testifying. Search warrants have to be based on reliable credible information. Anytime an informant provides the basis for the issuance of a search warrant criminal defense lawyers become wary. The information they provide has to be substantiated. There has to be a basis of knowledge associated with their work. Hunches, no matter how accurate cannot serve as a basis for a search warrant application even if based on suspicions of a reliable informant. Informants have strong motives for providing false information. I have seen this and exposed it many times in my career and succeeded in getting evidence seized during searches suppressed as a result of this. Earlier in this post I mentioned the motives of confidential informants. Keep in mind their motives are never altruistic. Informants are cooperating because either 1) they are getting paid to do so, 2) they are being permitted to continue to use drugs without consequence or 3) they are working off a case. It is the last category that is most prevalent. When informants provide the cops with enough information to initiate a prosecution they get a benefit. Maybe they will be getting years off of a sentence or perhaps their probation is being reduced. The benefit increases if they testify at trial or during an evidentiary motion hearing. Informants’ rewards often depend on the quality of information they produce. For instance, the benefit for information on a drug dealer selling small bags of marijuana pales in comparison to the benefit received when informants reveal major cocaine or heroin operations. Informants are aware of this. So, they exaggerate their information to appease the cops. We have uncovered this many times while investigating and preparing our defenses. Lying informants make the cops look like liars and this adversely effects the prosecution. Call our office to discuss your case. We can be reached at 617-263-6800. 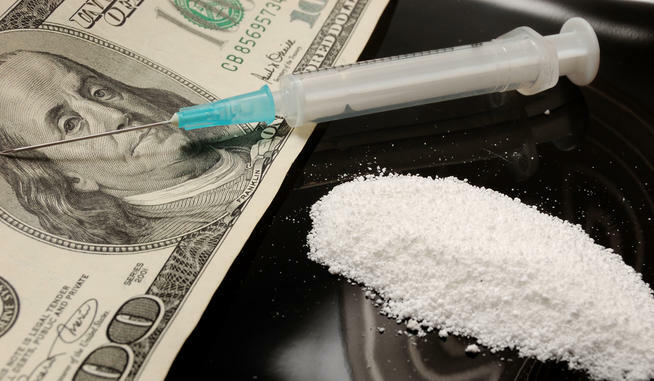 With nearly thirty years experience defending drug trafficking cases in Newburyport and Massachusetts in general we know how to get the job done.